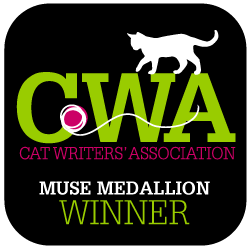 Catladyland: Cats are Funny: Whiskerslist Online Book-Signing Event This Week Only! Whiskerslist Online Book-Signing Event This Week Only! If you regularly read Catladyland, you know I wrote a book called whiskerslist: the kitty classifieds. 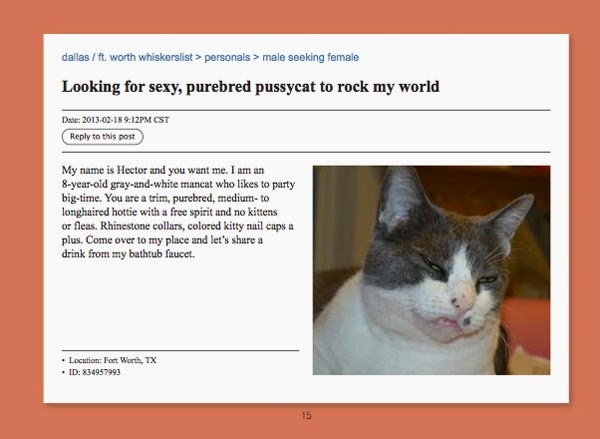 It's a parody humor book based on the idea of cats having their own version of craigslist. Silly? Of course, but if you don't like ridiculous humor, you probably shouldn't read most anything I write. The companion whiskerslist calendar is scheduled for release on August 1, and I'm tickled to share it with you. It's a 2015 page-a-day box calendar -- so every day you can read a weird ad "written" by a cat! 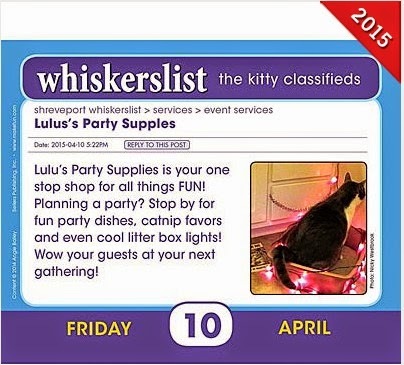 There are a few favorites from the book in the calendar's pages, but most of it is comprised of brand new ads for personals, sale/wanted, community, rants/raves/hisses, discussions and more. It's really fun and a little edgy, like the book. You can pre-order the calendar online or from your favorite book seller. A page from the new calendar. From July 28, 2014 -- August 1, 2014, I'm hosting an online book-signing event! You'll have the opportunity to purchase a signed copy of whiskerslist for $16 ($12.95 + the US cost of media mail/please contact me for international rates). I'll sign the book however you'd like (think ahead to the holidays), and include a Texts from Mittens postcard that you can use as a bookmark, hang on the fridge, use as a tiny litter box liner, whatever. The whiskerslist book cover. "Casual encounters? Are your neutered?" So this whole deal is kind of like attending a bookstore book-signing event -- except you can do it all in your jammies, from in front of the computer. Easy-peasy. Sure, you'll pay a small amount of shipping, but you're saving on gas, right? Sweet, desperate Hector from the book. Email me (do not comment here) with your name and mailing address, and indicate how you'd like to pay: catladyland@gmail.com. Payment is available via Paypal (catladyland@gmail.com), or check (book will be mailed after check clears). Again, the cost is the retail price of $12.95, plus $3.05 for media-mail shipping = $16 even. Please contact me for international shipping rates. You receive the book and postcard! Thanks so much, and I'll let you know when the calendar's released and we'll host a fun giveaway to celebrate.